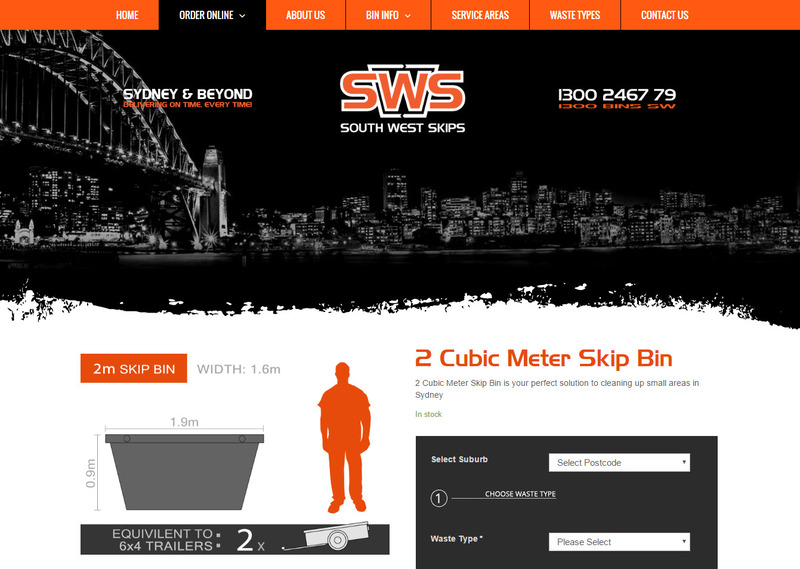 I had been contacted prior to traveling through India to build an online ordering solution for South West Skips in Sydney, for the hiring Skip Bins. 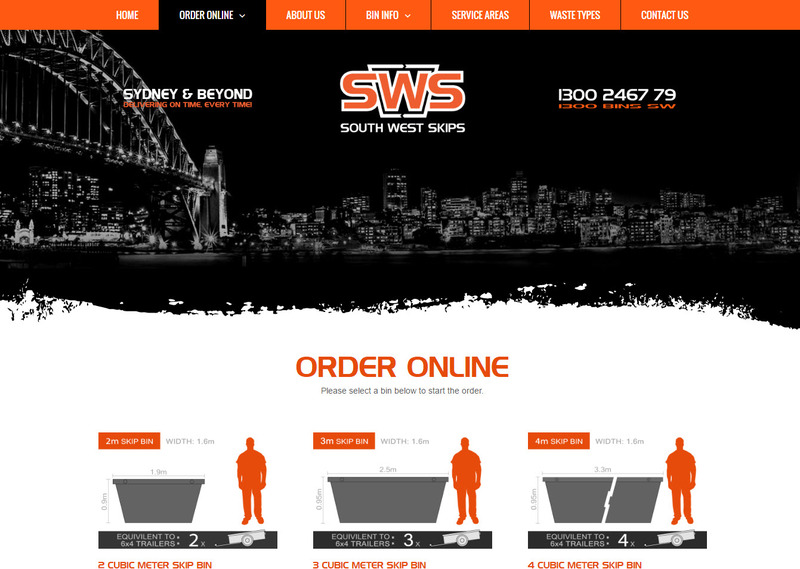 Through consultation it was suggested that the best option without disruption to the current website was to build a small second website that was only for the commerce side of the business. That way Google ranking would not be effected, and actually be an added advantage since the online ordering could take up SEO traction on its own. I went about designing the new site so that it would closely match their present website, and not cause confusion to their already great client database. 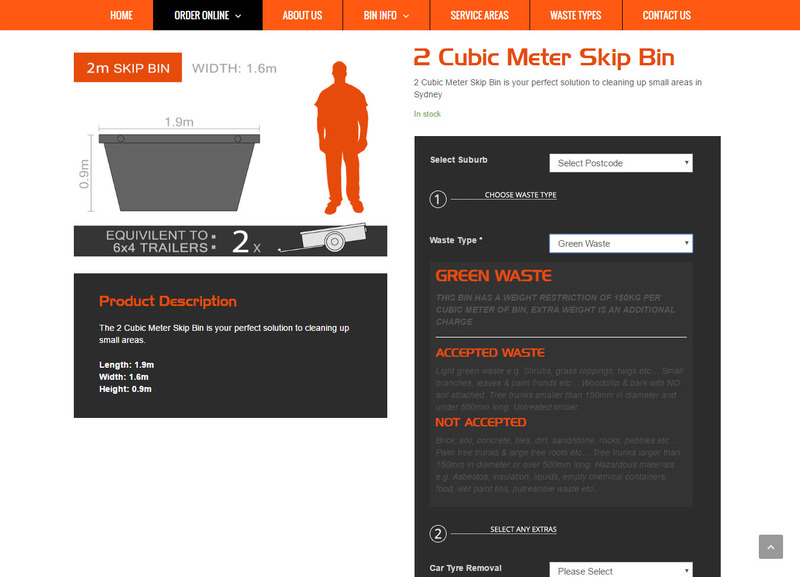 The project from start to finish was an absolute joy to build as the client was incredibly responsive and timely on providing all the required content and information for the new site. 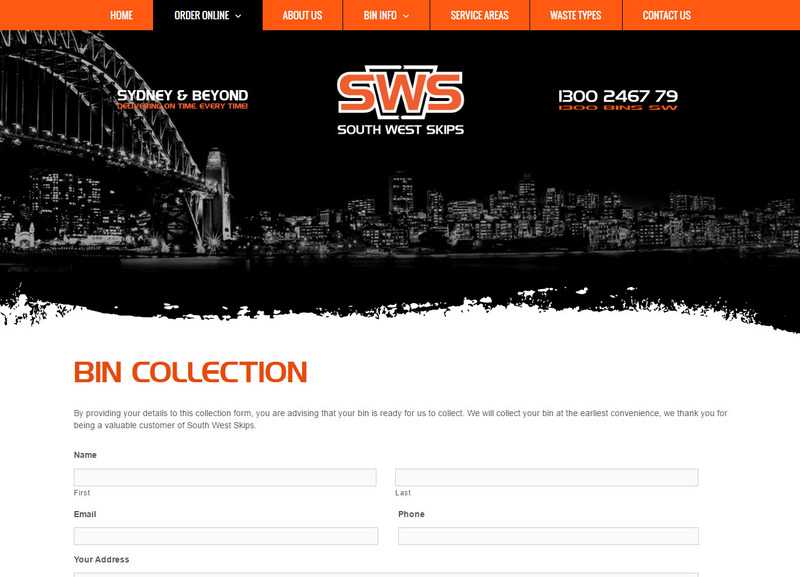 The collaboration between myself and the client brought this website up and online very quickly with no delays.